I just got a call a few minutes from a local dealer who has a Black 3ZR Auto. Deal fell through., I bought a ZR1 last week so don't need it. they do MSRP. PM me is if you want more details. i had a few feelers out. Doe's anyone know the policy about this ? I hate to mention a vendors name because i don't know who supports the forum or who doesn't. On the other hand I would like fellow forum members to know about a car at MSRP. Last edited by Steven Bell; 12-27-2018 at 11:56 AM. Seems like there are quite a few now sitting on dealer lots based upon what I have seen. I agree. I think there are only a limited # of buyers who want to pay $135K for a corvette. Also talking to the finance guy when I bought mine he said a lot of people fall out at the last minute. Lot of $$. More than my first house. I think the dealers trying to sell for over MSRP will not be selling many more. too many "deals" becoming available. 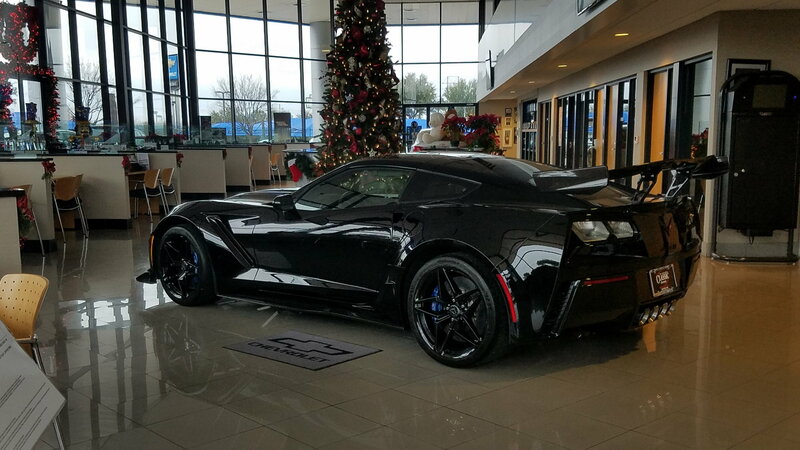 I paid MSRP for an early C7 in 2014 , paid MSRP for C7 ZO6 in 15, Paid MSRP for ZR1 a few weeks ago. My opinion is MSRP lets the dealer make a very nice profit. Asking over MSRP is simply greedy. My 2 cents. I've been debating picking one up and in my research this past week, I have come across a lot of unallocated vehicles that have been delivered to dealers. Most are automatics, but there are manuals as well. I think we are at the point in the manufacturing cycle where those that pre-ordered have received theirs and now the demand has softened. When the C8 gets announced, it will likely hurt C7 values, including the ZR1. My 2018 Z06 3LZ Z07 value has tanked in one year, even with the discount I got off MSRP the depreciation hit is absurd. C8 is going to be way more expensive than a C7 so I doubt very much if it's going to hurt the value at all. Base C8 price will be near base C7. Not much of a variance expected. Hard to believe sitting when they will sell at list or less. Good looking car. Here's another thing; most Vette buyers aren't in the same financial realm as buyers of exotics, who can afford to absorb, and probably care less about the huge depreciation hit. They buy what they want and if they don't like it, they dump it at the McLaren/Porsche/Ferrari/Lambo/etc dealership and drive out with something else. Last edited by Newton06; 12-30-2018 at 11:42 AM. wrong, base model won’t be much more than the C7. Many C7 owners not interested in ME DCT ETC. Here's another thing; most Vette buyers aren't in the same financial realm as buyers of exotics, who can afford to, and probably care less about the huge depreciation hit. They buy what they want and if they don't like it, they dump it at the McLaren/Porsche/Ferrari/Lambo/etc dealership and drive out with something else. At least a handful, where just a short while ago there were none anywhere to be found. Perhaps a 'bunch' was a bit of exaggeration.